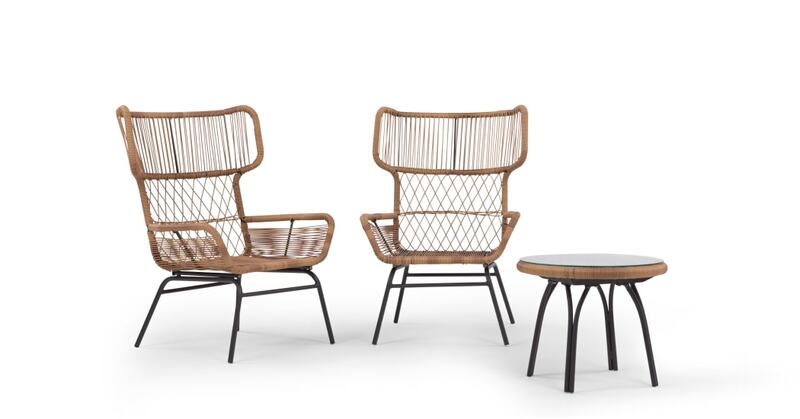 Make a real design statement with MADE.COM's latest outdoor range. This lounge set will ensure that your garden is as beautiful as the rest of your home. The Lyra range is the ideal addition to an old fashioned and vintage look. Add this set to a flowery garden space for a beautiful design statement. Fancy a long afternoon in the sun? These seats are woven to give you added comfort.